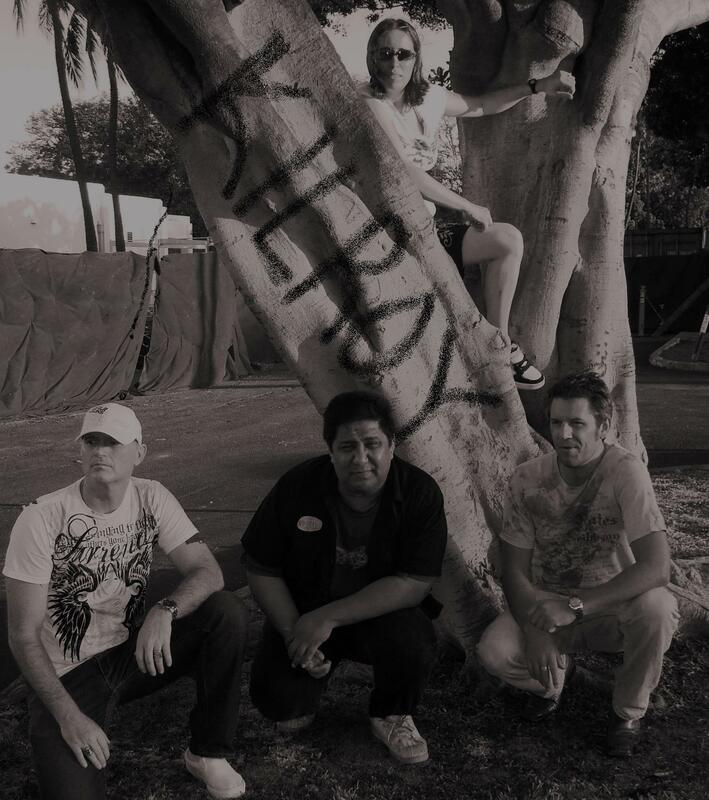 The local hard rockers Kilroy thrive on guitar riffs and lyrical hooks to drive their success. The band looks at different sources of inspiration for their 12 track debut album “Something’s Gotta Give,” due out in December 2010. Kilroy’s music leaves the listener feeling a sense of familiarity. The listener hears a song that is not immediately recognized and it doesn’t sound like anything they have heard in a while. Then it hits the listener, the sound of guitar driven riffs and hard rock beats that are synonymous with hard rock & roll music. This is Kilroy! The return of Hard Rock! Kilroy’s music speaks of contemporary issues pertinent to most adults. The emphasis is on getting listeners’ heads nodding, feet tapping and bodies moving while enjoying solid, hard rock. The group’s music is a mix of classic rock, contemporary rock, blues rock, hard rock, alternative and grunge. Richard Barber and Doyle Purdy set out to challenge their writing abilities with songs about things that affect everyone. The band formed in October 2009, when lead guitarist Richard Barber posted an add on Craig’s List looking for seasoned musicians interested in forming a Rock band. Soon, his postings were answered by Doyle Purdy who provides lead vocals, rhythm guitar, and song writing skills. Claude Paddock, the original drummer, had to transfer from the islands and the void was filled by Caitlin Bunner. Caitlin has been drumming since 1996. She brings a high level of energy and awesome beats to Kilroy. Lastly, John Manzanares joined up with the band in June of 2010. John’s creative edge challenges Kilroy’s potential with his heavy bass lines. For more information about Kilroy or for a show schedule, visit www.kilroy-music.com.